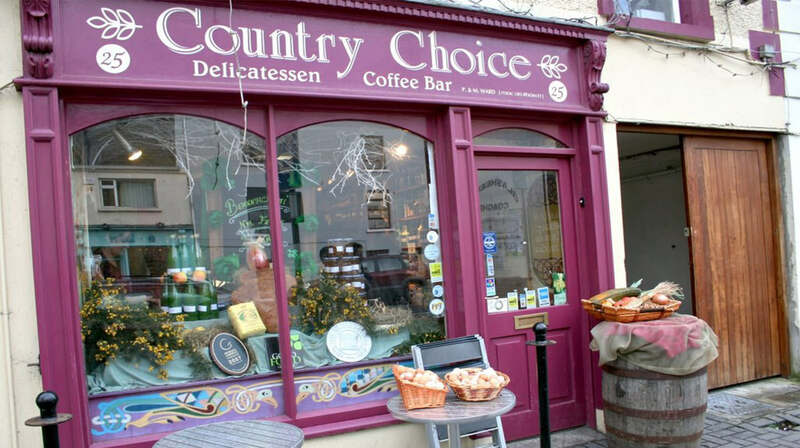 Country choice is a flagship cafe, deli and supply business located in Nenagh town centre. Country choice is a flagship cafe deli and supply business located in Nenagh town centre. This food shop and cafe is the headquarters of the local Tipperary Slow Food movement. Peter and Mary Ward established this business in 1982 in response to a growing need to showcase and supply local artisan foods. Country choice features in all major Irish food guides and journals. The shop cafe is a serious destination for all foodie visitors to the region. Delicious local Irish food is served in the cafe daily and the shop sells a great range of picnic and to go foods. Country choice uses beef, lamb and pork from their own traditional agri.chem. free farm in county Meath. Country Choice provides maps and local information to locals and visitors alike.